you should consult an attorney right away. You will need to seek medical treatment within 14 days. It is our mission to get your case resolved as soon as possible. We do this by going on the offensive and doing everything we can to move a case forward. No upfront fees or costs. Consultations are always free. I’m happy to discuss your case. We do the necessary research and investigation to ensure the best results for you. We have professional investigators and years of experience to help figure out liability and coverage issues. Mark was hired to represent the child whose father was murdered by Patrick Evans. Mr. Evans was sentenced to death, until the Florida Supreme Court over turned the trial court’s decision. Mark Perenich tried the case and the jury returned a $54,000,000.00 verdict. $4,000,000 recovered in medical malpractice cases after surgeons implanted the wrong prosthesis. 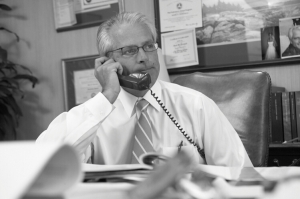 Mark has handled car accident cases for over 32 years. Mr. Perenich has represented clients in complex car accidents involving multiple cars, accident reconstructionist, biomechanical engineers, and treating doctors. Mark has an excellent understanding of car accident injuries, and the medicine surrounding those injuries. Medical malpractice cases require serious attention and a skilled attorney. Medical malpractice claims are very difficult to bring due to the complexity of the claims and the procedural hurdles plaintiff’s must overcome in order to present their case. Slip and fall accidents happen for various reasons. Sometimes we see a transient substance such as water or some other form of liquid like substance. In other cases we see tripping hazards in poor places. If you have been in a slip and fall, it is imperative that you contact an attorney immediately, the longer you wait the more difficult it is to preserve the evidence. Construction accidents occur when road work in being performed or when construction in being performed in a potentially hazardous locations. Construction accidents require intimate knowledge of the industry. 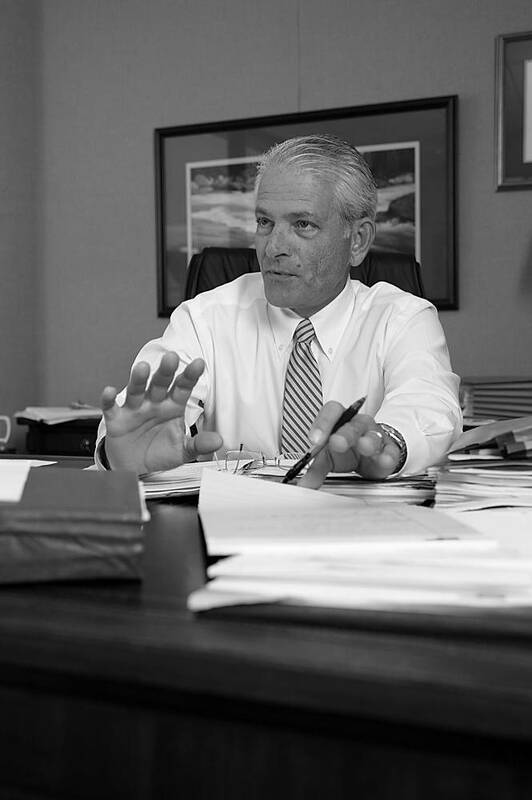 Mark Perenich, is a licensed Florida personal injury attorney. He has practiced thoughout Florida for more than 32 years. 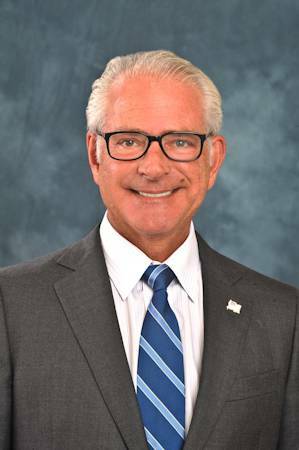 His firm was established in 1955 by Guy Perenich in Clearwater and is Florida’s oldest exclusive personal injury law firm. Not only do we fight for people injured in accidents, but we have made it our mission to develop an excellent reputation in the community with numerous local projects, and charities. In the early 90’s when the internet was in its infancy Mark had the foresight to come up with USALAW.COM, and USALAW. Usalaw was meant to be a beacon of hope to those in need of a good attorney, our firm has always done our best to put those in need in the hands of qualified attorneys that can help. Perenich Caulfield has been serving the Tampa Bay area since 1955. This website was created to inform potential clients, explain legal issues, and to help people in need find help when they are faced with an injury or disability, due to the mistakes or carelessness of another. It is very important that you meet your attorney before you hire them. You should, at the very least, talk to them on the phone. We make it a priority to meet all of our clients because every case is important. We want to earn your goodwill, and we are going to work hard for you. I invite you to ask me legal questions or to request a article regarding injuries or personal injury law. I am happy to write content that will help people understand the legal process. If you have been injured in a car accident, slip and fall, work accident, or you have a claim for medical malpractice, defective product, or Social security disability. Please call me for a free case evaluation : ?727-386-9677 Or go to my Contact page. What is a multi-million dollar advocate? 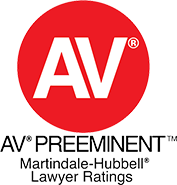 Mark Perenich is a member of the Million Dollar Advocates Forum and Multi-Million dollar advocates Forum: a distinction given to attorneys that have won over a million dollars for their clients multiple times. The multimillion Dollar advocates forum was established in 1993 is one of the most exclusive and prestigious memberships amongst trial attorneys or personal injury lawyers. There are about 4000 members throughout the United States, fewer than 1% of practicing lawyers are part of the multimillion dollar or million Dollar advocates forum. 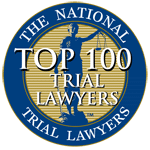 Most of the top personal injury lawyers are members of the million and multimillion Dollar advocates forum. The hallmark of a million-dollar advocate is that the personal injury lawyer is able to take a complex case, or catastrophic injury, and argue on the behalf of the client to ensure that they are receiving just compensation for their injuries. Cases that settle for over $1 million or are rare, this is not the normal case for all clients. Typically million-dollar settlements or verdicts come from cases where clients have been severely injured, have experienced serious loss, maybe they had been paralyzed, lost a close family member (wrongful death), or the case is so egregious that juries find what the defendant did morally reprehensible as well as legally reprehensible and may impose punitive damages on the defendant. This is why if you or family member has been seriously injured, whether it be from a car accident, or medical malpractice you should contact an experienced personal injury lawyer today. You should be sure to look for an attorney that has been board certified, orders a member of the multimillion dollar advocates form, or has years of experience and has a good reputation in the community. 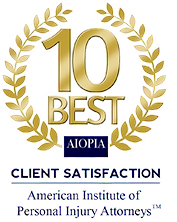 I have felt numerous clients in the Tampa Bay, St. Petersburg area receive settlements that they deserve and that clients are happy with. B.C.S./Expert/Board Certified- Only those lawyers who are members of Florida Bar association and have been certified by the Florida law board to have specialization in various field of law can use terms like – “Expert”, “Specialist”, “B.C.S.” or “Board certified” to identify themselves and use it in their Business cards, Letter Heads, Legal Directories or in Advertising. Not all lawyers practicing in the state of Florida are certified but only those who have taken the initiative of getting their competence and experience evaluated are given Board certification. • Awarded to– The Board certification is only awarded to and recognizes attorneys having skills, special knowledge and proficiency in various areas of law and those who demonstrate ethics and professionalism in Law practice. • Evaluation & Testing – Board certified lawyers are tested for their expertise in the field of law and are evaluated for the professionalism they demonstrate in their work. • Certification to Identify- The board certification was established by the Florida Supreme Court in the year 1982 as a measure for clients to identify specialist / experts in the various areas of Law. • Competence & Experience – Board certification is the highest recognized form of evaluation for an attorney’s experience and competency in the 24 different areas of Law that have been approved by the supreme court of Florida. Mark is no longer board certified, the reason this happens is that many cases will settle prior to trial. Ultimately an attorney will need to keep the clients best interests in mind, and if that means not going to trial and losing your board certification, then so be it. Man lawyers that handle common car accidents have never been board certified, and if you don’t plan on hiring Mark then you should consider hiring an attorney that is reputable in the legal community, or one that is/was board certified. If You’ve Been Injured And Have Questions Please Contact Us Today.